Why use a company to clean your oven? As professional cleaners, we can lend you a hand with your sanitation duties. We have the experience, workforce and technical capacity to maintain your home or place of work and their features in a tidy and clean state. We have been in business for a very long time and we can confidently say that we can carry out even the most complex and laborious sanitation projects without any delays and complications. After all, it is not by chance that we are the preferred cleaners of the local community. 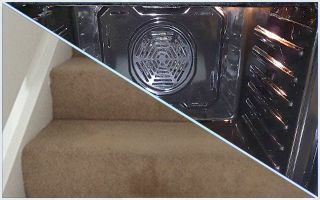 Combine Oven Cleaning with Carpet Cleaning and Save 10% OFF! We work in accord with all the local health laws and regulations and this is a fact that is strongly appreciated by our business customers who own eateries and restaurants. 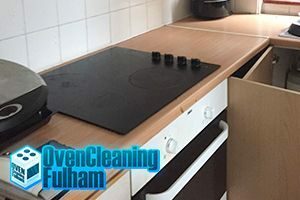 Our Fulham oven cleaning services are tailored in correspondence with the highest standards of the industry, so you can rest assured that choosing us is the best decision that you can make about the maintenance of your cooker. The cleaning products that we use do not contain any chemical and toxic ingredients. 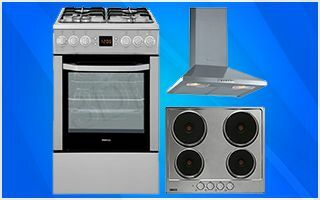 This gives to our clients the peace of mind that they will be preparing meals in an oven that lacks harmful elements such as dust, dirt, soot, ashes and detergent residue. Our green sanitation options are praised for their comprehensiveness and reliability, so stop wasting valuable time and book us today. Your oven cleaning project in Fulham will be organised and execute by our competent and accomplished sanitation specialists. We believe that a company is only as good as its employees, and this is why we vet thoroughly our workers. We also conduct frequent training sessions, so that our cleaners can be well acquainted with the latest and most efficient sanitation techniques. 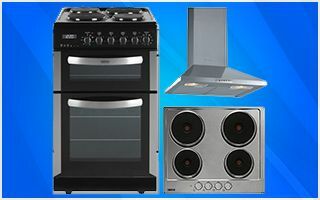 We are telling you all this because we want you to know that your cooker will be cleaned by well-trained and hard-working professionals that will not hesitate to walk the extra mile in order to match your demands and meet your expectations. At The Oven Cleaners Fulham, we work with affordable prices because we want everybody to be able to profit from our assistance. Our rates are calculated in dependence of the unique parameters of each job. This way we are able to provide to our customers with high quality cooker sanitation options in Fulham without lowering our standards. We can also easily accommodate smaller budgets and the prices from down below will testify for our claim. Aside of working with fair and reasonable prices, we also offer special discount to our regular clients and customers who choose to combine several of our sanitation options into a personalised bundle. You should also contact our friendly and helpful customer consultants to learn more about our midweek reductions, and weekly and monthly package deals. See in advance how much our assistance will cost you by getting in touch with us and request a free and non-binding quotation. Our quotes are final, so you should not worry about hidden fees and unmentioned taxes. However, additional charges can be added for the usage of specialised machinery or additional cleaning solutions. We work with a flexible agenda that always has free slots for new sanitation jobs. We also accept last minute booking, so feel free to request our oven cleaning services in Fulham on a short notice. Unlike other companies, we do carry out late night operations, which means that we can conduct your project after traditional work hours and make sure that your cooker, home or office is spotless for the upcoming day. Your satisfaction is our main priority, so we will do everything in our power to accommodate your demands and carry out your cleaning job at a day and time that best suits your personal schedule. You can employ us via a number of mediums. The most direct would be to give us a telephone call or to fill in the online booking form that we have provided on our website. You can also send us an e-mail with the details of our project. Our client advisors will send you a response as soon as physically possible.